There’s something to be said about coloring at home. Maybe it’s the comfortable grains of your tried-and-true kitchen table, or perhaps it’s the fact that pajamas are always an option. Whatever delight there is to be found coloring in your own abode, however, it’s not always practical. 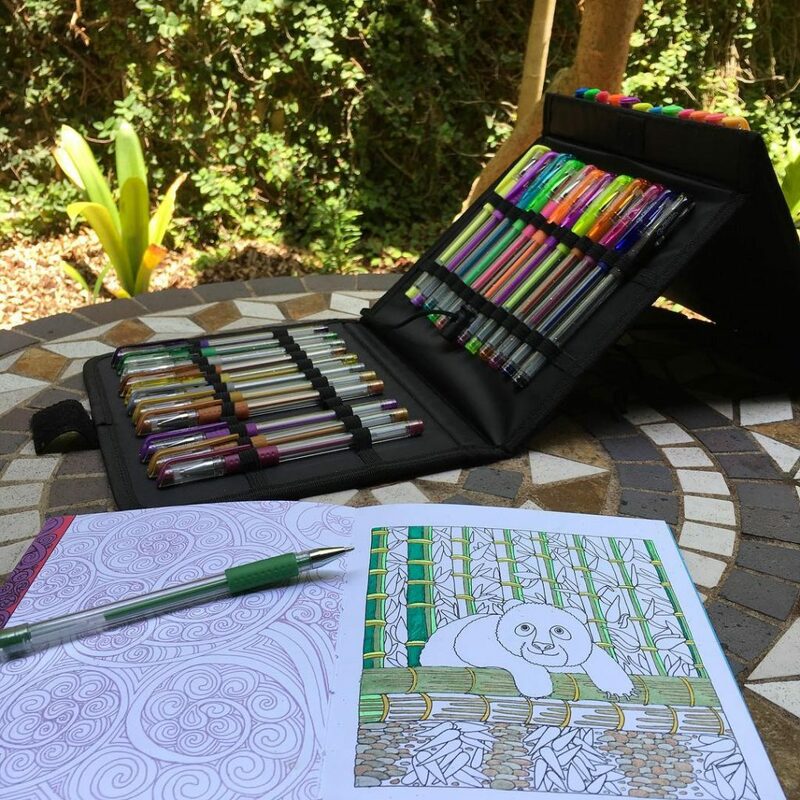 On the subway, at the coffee shop, waiting at the DMV, or on your lunchbreak at work — these are all excellent places to spend some time (and melt some stress) with an adult coloring book and some gel pens. But while adult coloring books or sketchpads are fairly easy to take with you, art supplies aren’t always the easiest to drag along for the ride. Check out these GelWriter sets that are made for artists on the go! 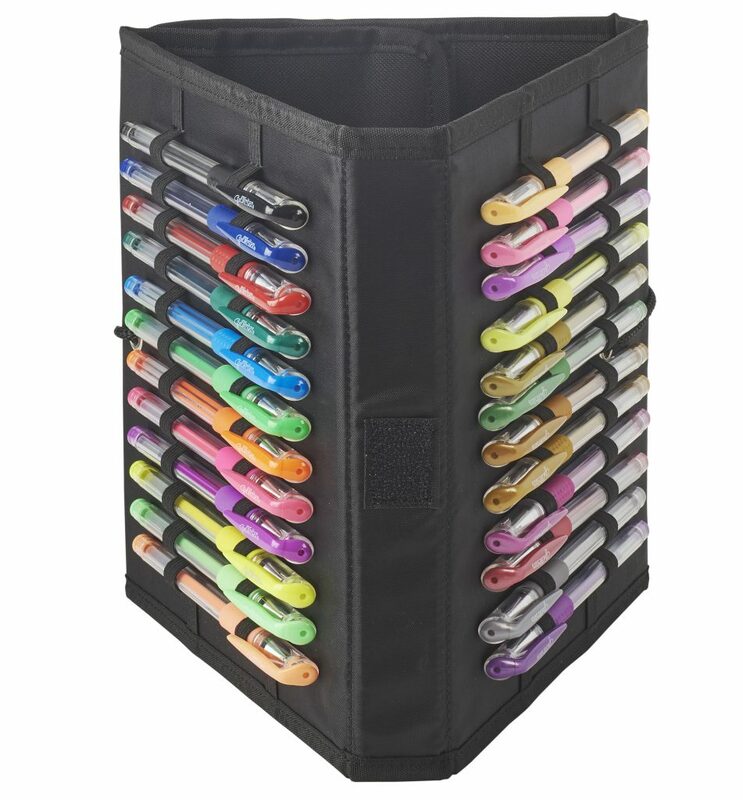 Lots of portable pen stands make it hard to get to your pens. Not this fabric easel! It’s easy to pack into your bag or carry it under arm. Once you’ve arrived at your coloring destination, you can easily set it up as a little art station with all colors in reach! There are multiple configurations, so set it up however works best for your artistic workflow! There’s also the 75-count set — it’s bigger, but still mobile! This pop-up case lets you turn any perch into a full-blown art station! With a stand that rotates freely once you set it up, this is basically a Lazy Susan that puts a rainbow at your fingertips. While it doesn’t boast as slim a profile as the fabric easel, a handle on top makes it easy to pick up the entire set and go. Check out its spinning action in this video on our Instagram! Easy to roll and unroll, our GelWriter sets in canvas wraps are prime for any colorist who’s looking to take their gel pens on the road. Available in 3 sizes — you can take the 24-count when room is sparse, but even the 72-count rolls up into a small profile! They come in two styles canvas styles: Tribal and Plain! Check them all out on Amazon.